Book Details: Signed by R.L. Wilson. 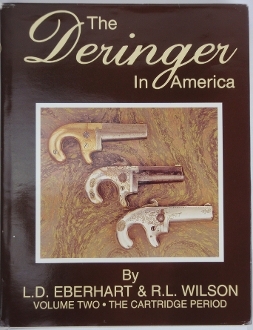 This book serves as a reference and identification guide for cartridge derringers in America. Jacket shows wear. The edges and corners show wear. Jacket also has handling marks and dents. The cover is in excellent condition. Great reference book for the cartridge deringer collector. Hard cover about 8 3/4”x 11 1/4”. Overall good condition.